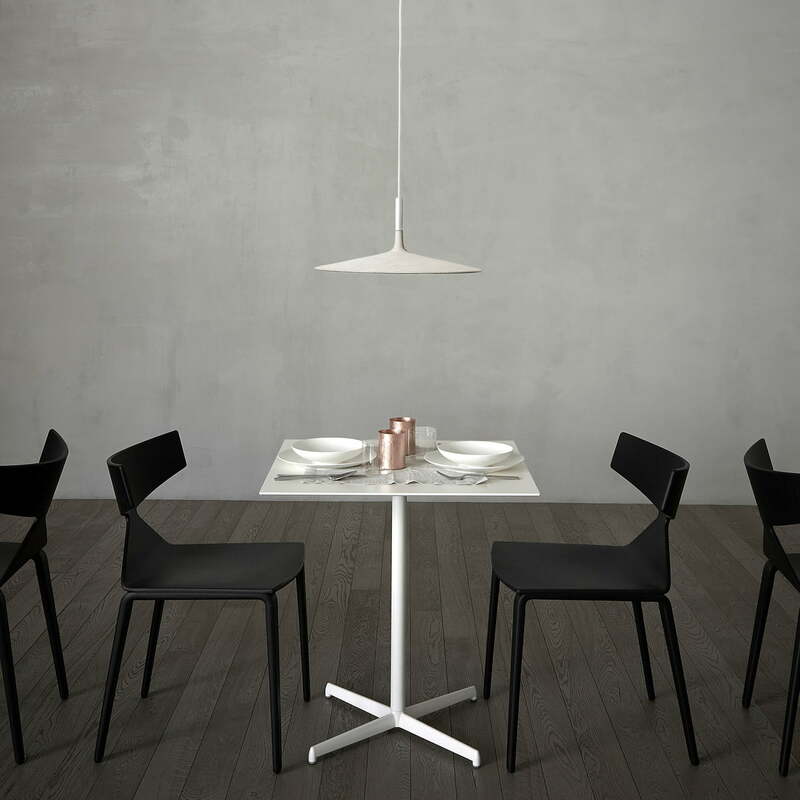 The pendant lamp Aplomb by Foscarini combines concrete with a simple and decorative design. The designers of the lamp are Paolo Lucidi and Luca Pevere. 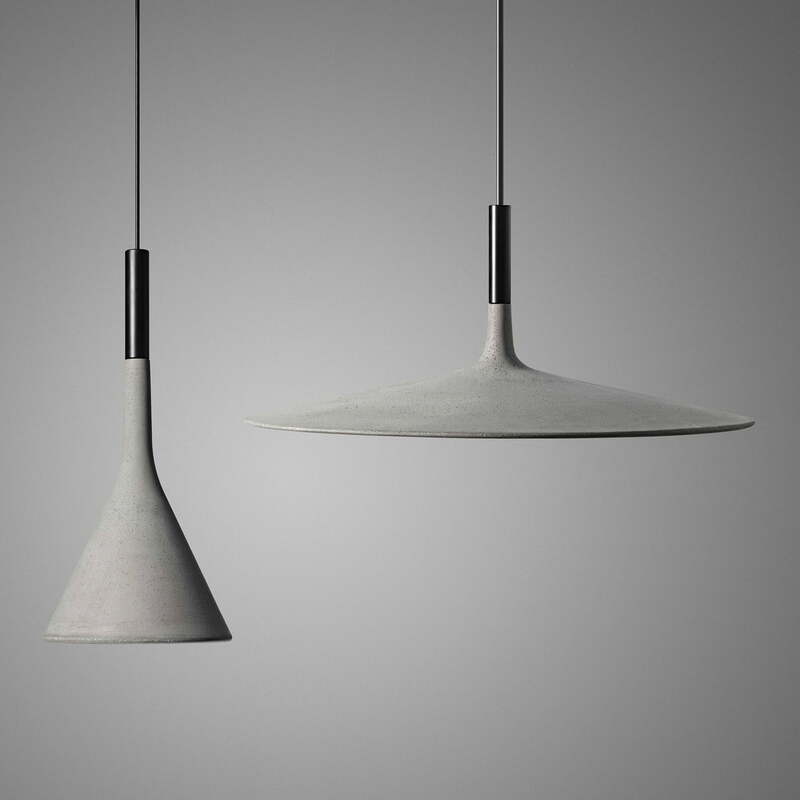 The elegant concrete hanging light Aplomb influences any environment with its simple design, ranging from architectural objects to private living areas. 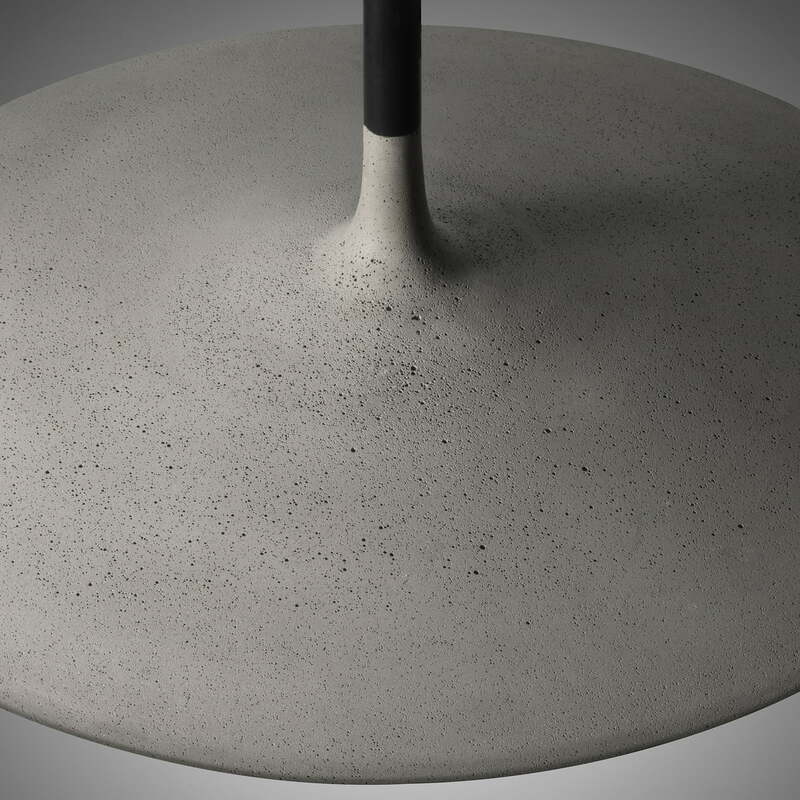 The innovative and uncommon use of concrete as a material ensures the rough charm of the lamp. Unlike the original Aplomb lamp, the Large version does not provide precise lighting, but casts a wide beam of light on the surface underneath thanks to its large shade. In a group - also combined with the smaller versions - an appealing ensemble of lamps can be created, which looks great in any environment. The Aplomb large has an LED light which can be dimmed to regulate the required light intensity. 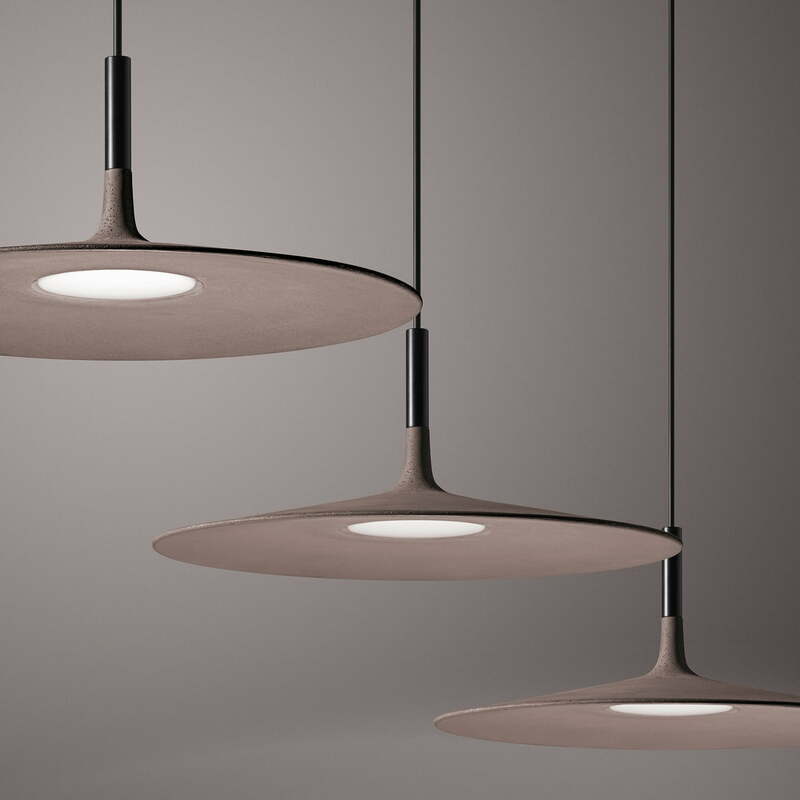 The pendant lamp is available in brown, grey and white. 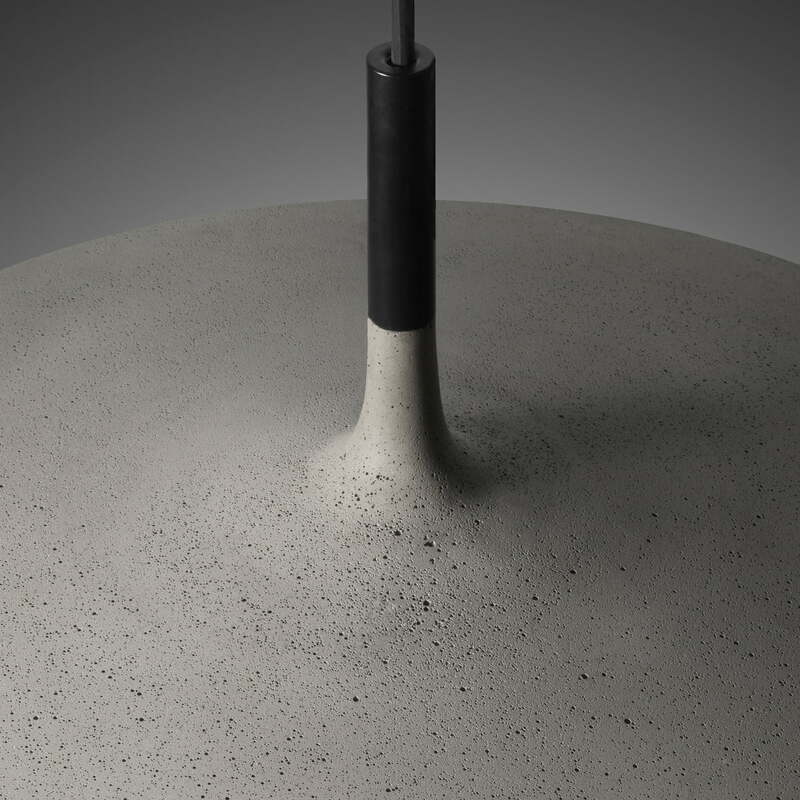 Thanks to the symbiosis of the concrete, an unusual material for lamps, and its unobtrusive design, the Aplomb lamp was selected as the "Lamp of the Year" by Foscarini and Lucidi Pevere in 2011. Unlike the original Aplomb lamp, the Large version does not provide precise lighting, but casts a wide beam of light on the surface underneath thanks to its wide shade.